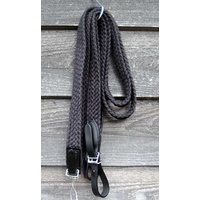 Ideal for dressage, shows, pony club, jumping or just because you like a quality bridle! 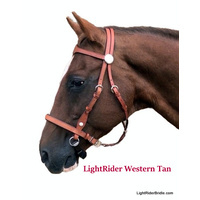 Designed for well educated horses who respond to light rein aids. 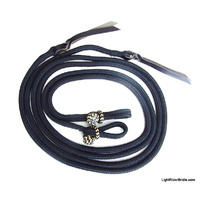 Looks great on dark coloured horses. 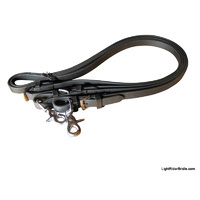 The LightRider Dressage bridle features an extra cheekpiece buckle to allow for a bit to be added if you need one for competitions, or for your transition to bitless. 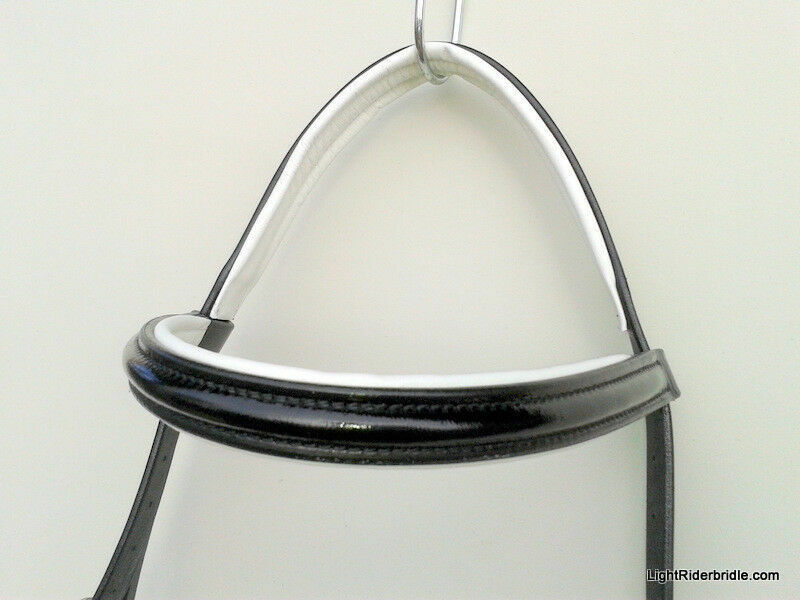 Has a white padded and raised patent leather (shiny) browband/noseband, and a shaped, white padded headpiece. 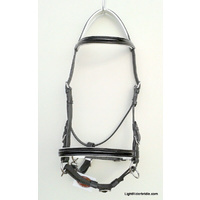 Risk Free Guarantee You can return your Light Rider Bridle (in clean as new condition - please wipe over with a damp cloth) within 30 days of receipt if you or your horse are not happy with it. See our Returns Policy for instructions. 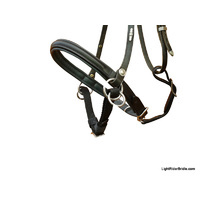 LightRider Bridles have a 12 month money warranty against manufacturing faults. I was very surprised at how relaxed she was from the start very happy with it the only thing I would say is the throat lash is way too long. Store Owner: Thanks for the feedback and yes we discovered the throatlatch measurement was being made too long and have corrected that now. 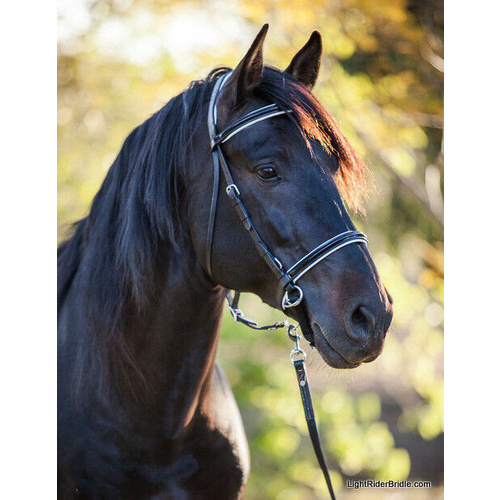 My mare loves this bitless bridle. We use it with the chin strap. She is happy and light. 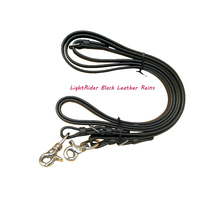 The leather is excellent quality. However, I am surprised there is no padding under the buckle on the nose piece, especially since it is a bit large. 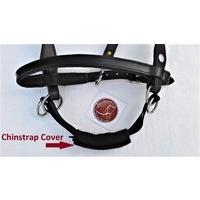 I want to thank you for your wonderful bridle. 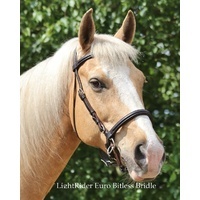 I've bought the LightRider dressage bridle and my horse and I are really happy with it! 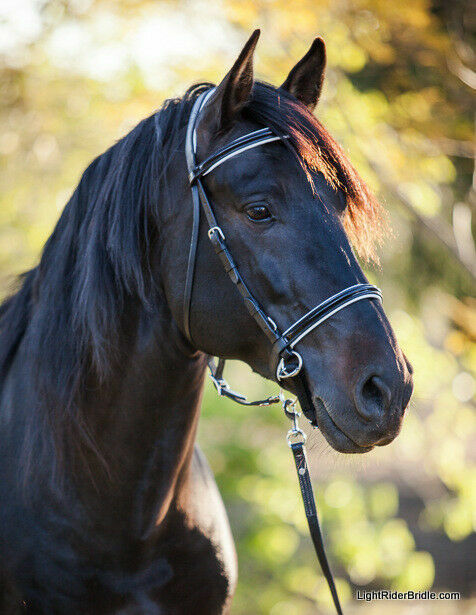 I have a Friesian stallion who can be really resistant. I do Parelli with him and I've always ridden him with the Parelli rope halter that it's fine for freestyle riding but not for finesse. 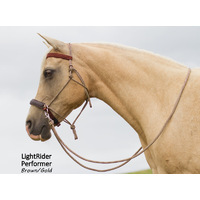 When he doesn't want to flex or stop he can get really strong but with the LightRider he's super light, no problem with riding finesse with constant contact and absolutely no problem with flexing the neck or going backwards. 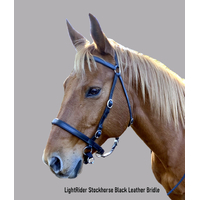 I had tried a crossunder bitless bridle with him but he couldn't stand the fact that it needed to be tight on his face, he really wants to feel free and he loves the LightRider bridle as there's nothing tight at all! Thank you very much again. " Elena and Siro in Italy. Love it! We are all about having our ponies supple and rounding naturally -working from the hind in without bracing or being forced. 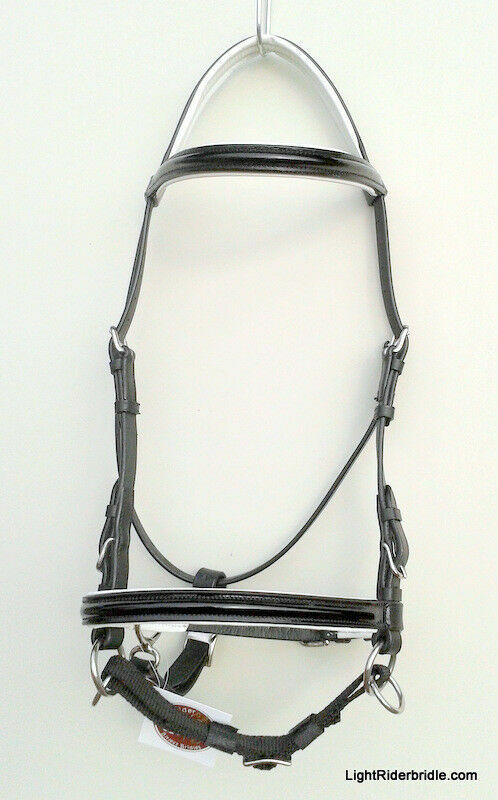 This bridle is lovely. 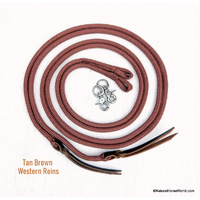 It is wonderful quality and looks perfect on my mare. She is just being started and showed quite an aversion to bits, so I had to find her an alternative or it would be many months more before she could really get under saddle. I wanted something that would feel similar to a bitted bridle if I needed to switch her over later in life... still precious few shows allow bitless bridles in the US! Fingers crossed the rules change before we're ready. 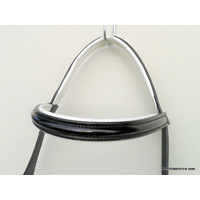 Beyond that, she is responding very well to this bridle. She is relaxed and focused on what we are learning, rather than this weird thing that is stuck in her mouth. Also, we loaned it to a lesson horse so our trainer could try it out and see how he did. He's the one all kids start on, and as he's a sweet old gentleman the trainer wants to keep the youngsters from hanging on his mouth. The horse thought it was wonderful, and my 8-yr-old boy rode him in it. We didn't do anything to get the horse accustomed to it... just threw my kid on and sent him out. 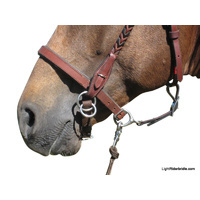 The horse's lower lip stayed loose and dangling the entire lesson. Very cute and happy horse! Definitely not something you'd see with a bit. 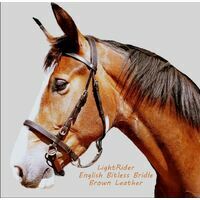 He will be getting his own Lightrider bridle soon.